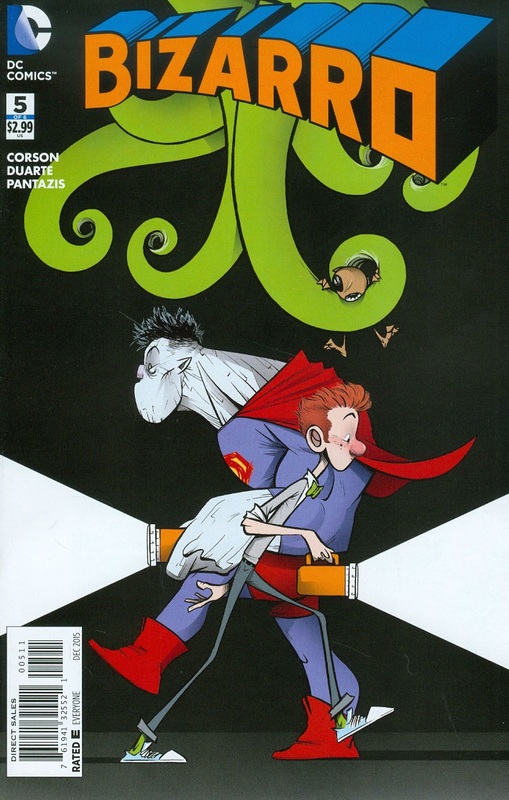 Jimmy Olsen falls into a surreal partnership with Bizarro, after Clark Kent jokes that were to on a road trip with Bizarro, it would make a good coffee table book. Jimmy fantasizes about the wealth and women that such an endeavor would produce, and thus begins the escapade. Bizarro's use of the car radio causes the car to crash, and in seeking out new transport, they run afoul of Regis Tutle, "King Tut," who owns a "slightly used" car lot. Regis is at odds with his daughter, Regina, and when she decides that she'd rather follow her dreams of making artisanal chocolate, Regis implores the ancient Egyptian gods to empower him. Somehow, Regis's prayers are heard, and with his new abilities, he beguiles his daughter and the whole town to heed his commands. Everyone is hopelessly possessed... except Bizarro. Bizarro tackles a used car salesman, Regis Tuttle, who's been possessed into believing he's King Tut... or something. Bizarro is able to stop Tut by hypnotizing him into believing that he's a chicken. 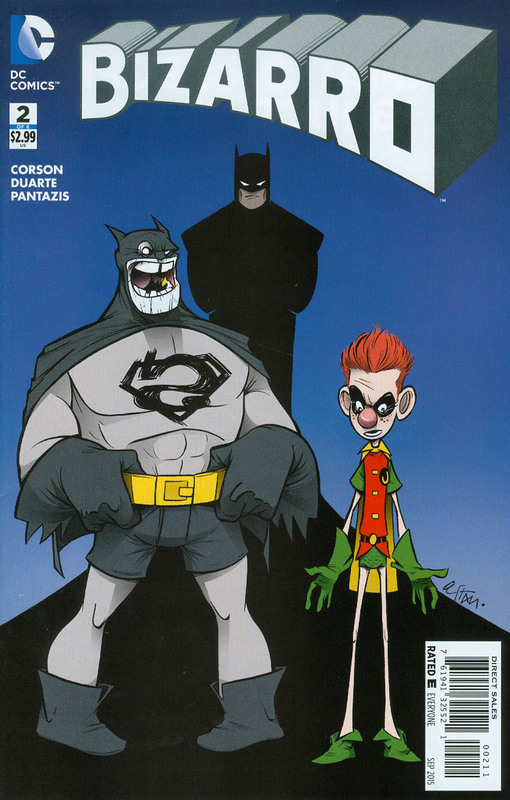 With that Jimmy and Bizarro are off to a Lexmart before ending up in Gotham City. They meet the usual suspects, then it's off to Central City, Starling City, Chicago, and various other destinations. Then the duo end up in a ghost town, where they meet Chastity Hex, a bounty hunter. They soon realize that the ghost town, literally is a Ghost Town, but we'll have to wait until next issue to find out how that impacts the trio. 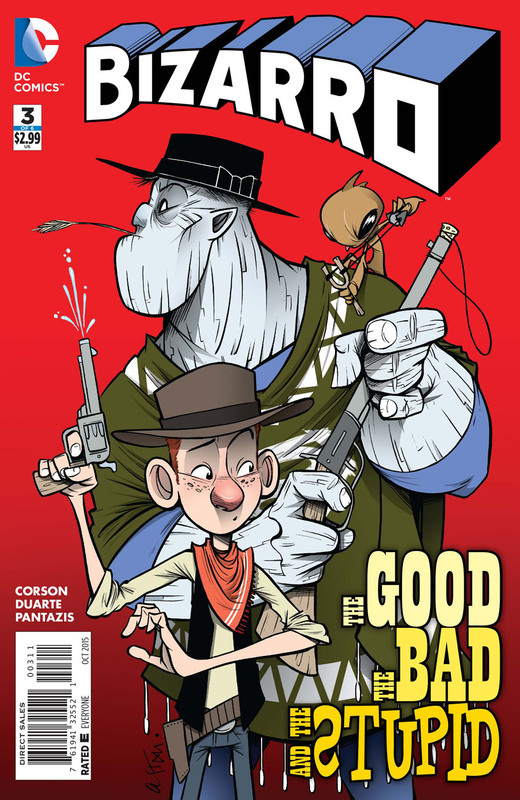 Ol' Gold Gulch is being terrorized by El Papagayo, and so Bizarro, Jimmy and Chastity Hex decide to handle the situation in a manner worthy of the Wild West, a showdown ensues. Bizarro inhales the renegade ghosts, who in turn possess him. Jimmy wisely calls in the aid of other ghosts, in the form of Jonah Hex and El Papagayo is defeated, leaving the duo, plus Chastity Hex, to continue onwards to Bizarro World (Canada). "Do You Believe in CIGAM"
Jimmy, Bizarro, and Chastity Hex make it to Branson. Once wrapping up the business of last issue, the trio take in a magic show, featuring none other than Zatanna, the Queen of the Mystic Arts. 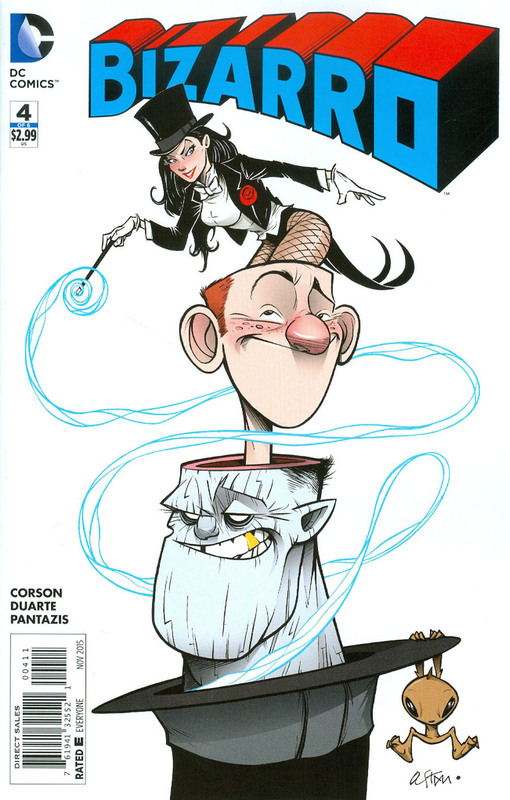 Zatanna's abilities are based on incantations spoken backwards, and with Bizarro being the master of all things backwards, he quickly adopts Zatanna's abilities, and goes on a trek through the dimensions of the DC Universe. 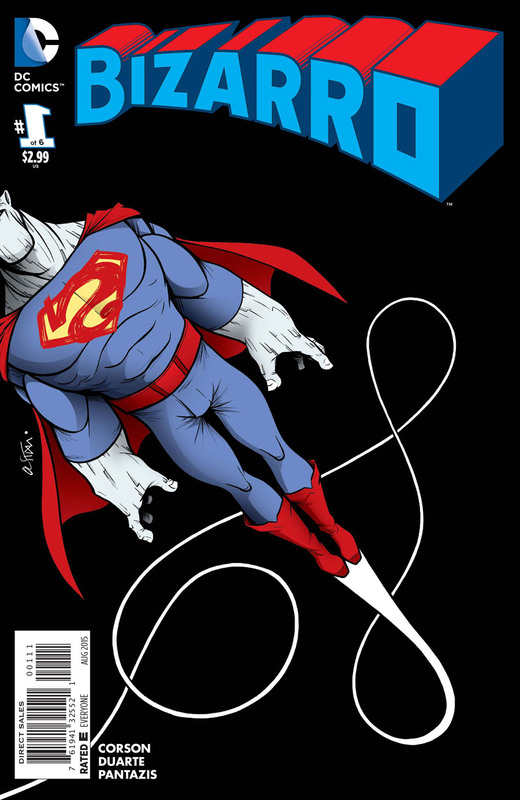 Once done there, Bizarro switches places with Jimmy, leading to the creation of Jimzarro, while Bizarro becomes normal. Zatanna and "Bizotto" work together to set things right, but no sooner than that happens, then ARGUS agents apprehend them, believing the two will be able to aid them in breaking into Area 51. Agents Mahalo and Paillard proffer Jimmy and Bizarro 50K to break into Area 51, in order to gain the alien tech there. Chastity and Colin are still along for the ride, and they're off to the races once more. Naturally, the quartet causes a riot with the locked up aliens, culminating in a stand-off with Sam Lane. Fortunately, Lois Lane bails them out, sort of, then Jimmy and company set the world to rights, sending the aliens back home with their respective tech. However, Bizarro is upset with Jimmy, having learned the truth of Jimmy accompanying Bizarro this far: to make a coffee table book. Bizarro flies off, leaving Jimmy to ponder his next move.